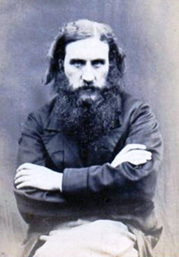 George MacDonald was born in 1824 in Huntly, Aberdeenshire. He later moved to London to train as a minster, however his unorthodox views on Christianity forced him to abandon this calling. Turning his hand to writing, he produced a variety of novels and short stories, including Phantastes, The Princess and the Goblin, and Lilith. Through his use of fantasy as a literary medium for exploring the human condition, he greatly influenced a generation of notable authors, including J. R. R. Tolkien, C. S. Lewis, E. Nesbit and Madeleine L’Engle.